It’s November 1, 2018 and the Perth Concert Hall is packed for Wendy Martin’s final Perth Festival programme launch. Anyone who has paid attention to Martin’s programming over the last four years will know that the Festival’s artistic director is a passionate advocate for contemporary dance. When the banner for STRUT Dance’s Sunset opens her 2019 line-up, however, the ripple of excitement is about more than dance. It’s a historical moment. A local show is leading the charge. Martin’s decision to open her final Festival launch with a home-grown show is part of a greater plan to showcase local work in this year’s programme. Alongside a terrific selection of international and interstate works, there are numerous shows and events by local artists and companies that are appearing this year under the newly-created banner, “Made in WA”. That list includes six Festival commissions. Martin is immensely proud of the 2019 Festival’s local content. 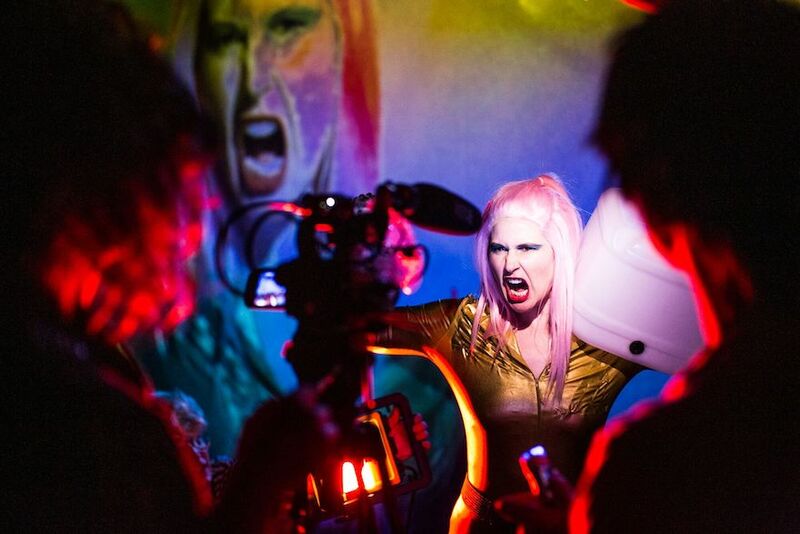 “It’s important to have a fantastically curated international programme, but it’s also important that, whichever place you’re in, the artists of that place are seen on the same platform,” she explains. From the outset Martin’s vision was inextricably linked with WA. “When I [started at Perth Festival, four years ago] I said, ‘There are festivals in cities all over world. 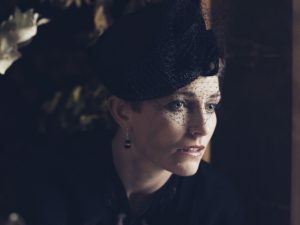 The thing that makes a difference is the place in which the festival happens.’ So when I arrived here, I saw myself as a detective, looking for clues and stories and threads to figure out, how I make a festival that really belongs in this place,” she explains. Martin was immediately struck by what she describes as “the unbelievable list of artists who come from this place, both historically and now“. Her immediate response was to commission “Home” as the opening event of her first Festival, a free, one-night-only celebration of West Australian talent that included the likes of Tim Minchin, the John Butler Trio, Shaun Tan, The Drones, The Triffids and The Waifs. The much-loved ‘Boorna Waanginy’ will return to Perth Festival in 2019. 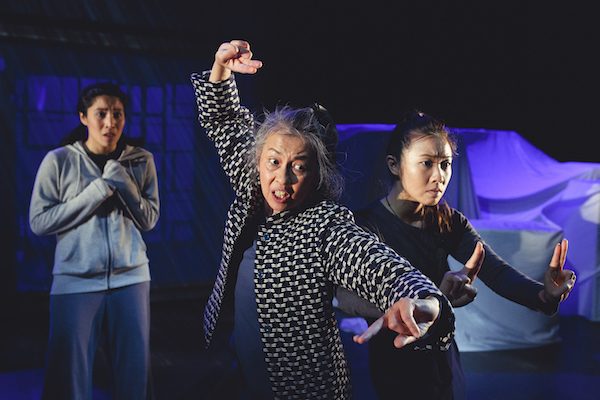 The opening event of her second festival, Boorna Waanginy: The Trees Speak, was another home-grown special, and one which returns to this year’s Festival. 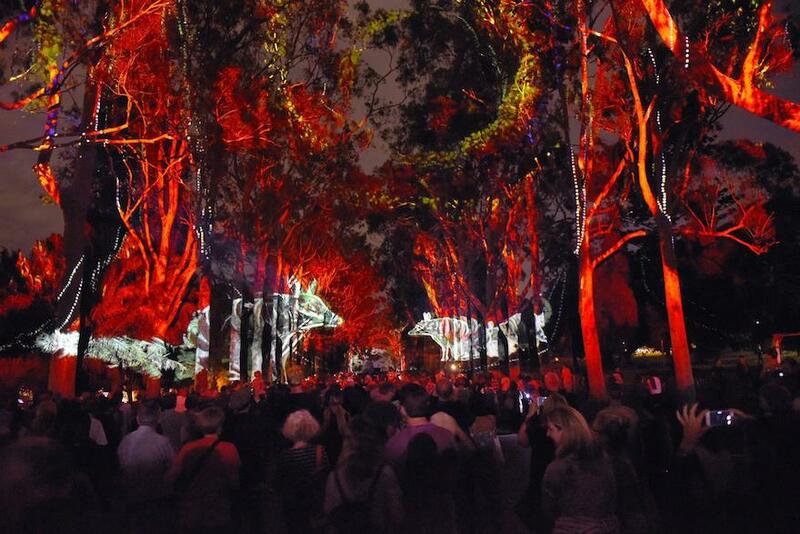 Bringing together the talents of Noongar elder and director Richard Walley, and designers Zoë Atkinson and Sohan Ariel Hayes, under the direction of Nigel Jamieson, Boorna Waanginy sees one of Perth’s most treasured landmarks, Kings Park, transformed by light and sound. The Last Great Hunt was one of the local first companies to catch Wendy Martin’s attention. 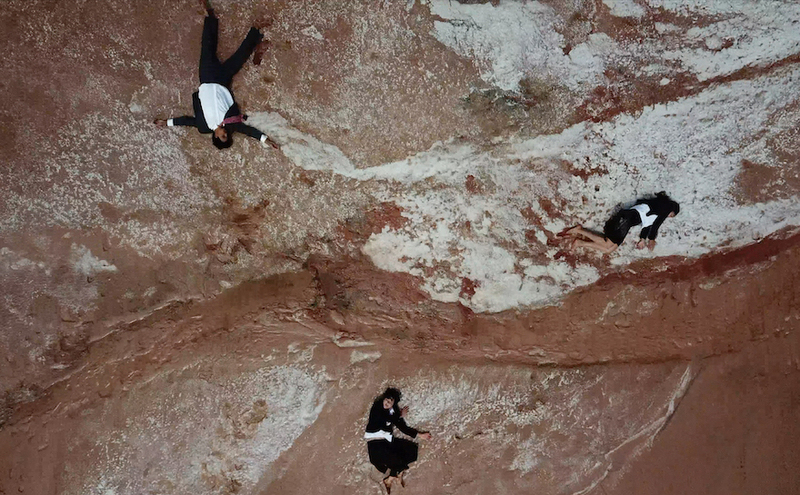 Pictured is a scene from ‘Le Nor’ which will premiere at this year’s Festival. When it came to choosing which shows to commission under the new Made in WA banner, one company caught Martin’s eye early on. “From the time I began [at Perth Festival] I could not believe that The Last Great Hunt, who had toured the world, had never been in Perth Festival,” she remarks. Martin wasn’t going to rush into anything though. “I had so many meetings, across the years, with Tim [Watts] from The Last Great Hunt. I kept saying, ‘Come on, give me something, I’d love to have you guys in the Festival…’ and then I saw New Owner [by The Last Great Hunt, commissioned by the Awesome Festival] and I loved it. If I’d have known about that show I would have loved to have had it in Perth Festival… but of course, it’s fantastic that it was in Awesome, which is an amazing Festival. Natalie Allen in ‘Sunset’, a new work created by WA’s STRUT Dance, in collaboration with UK dance theatre company Punchdrunk. Photo: Simon Pynt. No words: Cat Hope’s ‘Speechless’. Pictured are the hands of the four soloists, Tara Tiba, Sage Pbbbt, Judith Dodsworth and Karina Utomo. Photo: Paul Tadday. 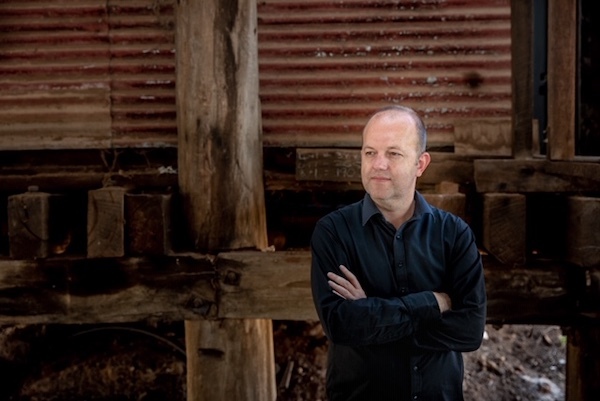 Lost and Found Artistic Director, Chris van Tuinen, pictured at Jarrahdale Heritage Mill, where ‘Ned Kelly’ will be presented. Photo: Nik Babic. A rip-roaring yarn: ‘A Ghost in My Suitcase’. Photo: Daniel Grant. That platform offers greater visibility to the home crowd, but also, potentially, further afield. “I’m hoping that we’ll have international presenters and national presenters coming over to see that work, to consider it for their venues and festivals,” she concludes. “I think that’s a really important role that the Festival can play. Perth Festival opens February 8 and runs until March 3. 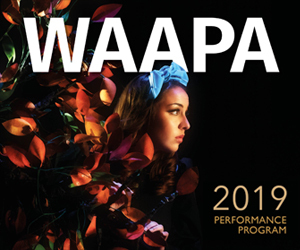 Head to the Perth Festival website to view the full program, including the six commissioned works from Western Australian artists and companies, and the rest of the Made in WA program. Pictured top: Ian Wilkes and Isha Sharvani in Tjuntjuntjara, a remote WA Aboriginal community, during the final development of ‘Kwongkan’. Photo: Mark Howett.